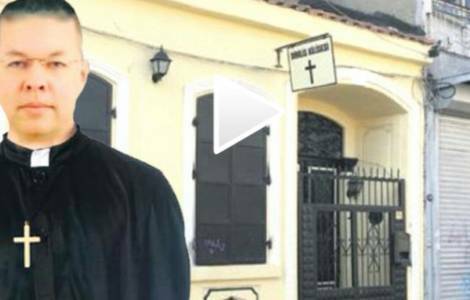 ASIA/TURKEY - Turkey demands life sentence for the evangelical pastor accused of belonging to Gülen’s "network"
Izmir (Agenzia Fides) - The Turkish Prosecutor of the Court of Izmir has formally demanded a life sentence for American evangelical pastor Andrew Craig Brunson, who was arrested in Turkey in autumn 2016. He is charged in the indictment with belonging to the leadership of the group of preacher Fethullah Gulen who Ankara says masterminded the failed coup of July 15, 2016. On Tuesday, March 13, the Turkish prosecutor confirmed the accusations against Brunson, who on February 7th had rejected all the accusations in the harsh interrogation to which he had been subjected in Izmir. If the Court accepts the prosecutor’s request, the evangelical pastor will be put on trial and could be condemned for life in Turkish prisons. The story of Pastor Brunson has become a battleground between Erdogan's Turkey and the current US administration (see Fides 2/10/2017). Andrew Brunson, formerly responsible for the Evangelical Church of the Resurrection in Izmir (Smirne Diriliş Kilisesi), had been summoned by the Turkish immigration office in October 2016, along with his wife, Lyn Norine. The couple was initially informed of the obligation to leave Turkey, justifying this measure with the vague accusation of having received funds from abroad to finance missionary initiatives and to have endangered the security of the Country with their activities. Subsequently, the Turkish press reported that the expulsion decree for the evangelical pastor had turned into an arrest, after a secret witness had accused him of belonging to the so-called FETO (Turkish acronym of "Fethullahnista terrorist organization", definition with which the Turkish pro-governmental organs indicate Gulen’s network). In prison, Brunson had received visits from senior US Embassy officials to Turkey, and US President Donald Trump had also requested the release of the evangelical pastor during the May 2017 meeting at the White House with Turkish President Recep Tayyip Erdogan. Last August, after Trump's intervention, Brunson had been accused of even more serious crimes, and had been transferred to a high-security prison where some defendants are held to be among the highest officials of the failed coup of 2016. Then, last September 28, Erdogan himself declared he was willing to release the US evangelical pastor only if in return the US authorities will hand over Fetullah Gulen to Turkey, who has been in the USA as an exile since 1999.